Sheikh Abdulbasit Abdusamad is a renowned Quran reciter who was born in 1927 in a village called Armant, Upper Egypt. 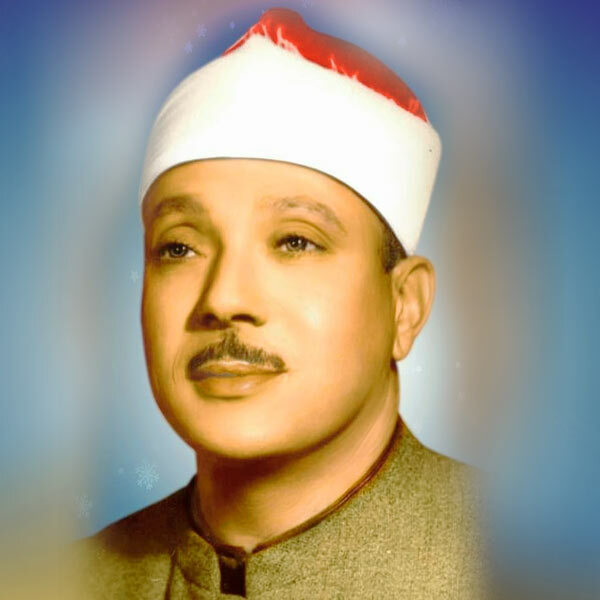 He learnt the Quran at an early age from Sheikh Mohammad El Amir and later from Mohamed Selim Hamadah. He entered the National Radio Station in 1951. The first Surah he recited was “Fater”. In 1952, Sheikh Abdusamad was appointed official reciter to Al-Imam Ash-Shafi`’s mosque and then to Al-Imam Al-Hussein’s mosque in 1985. Abdulbasit has left a fortune of high qualified recordings of both the chanted Holy Scripture and the recited one. He was an ambassador of the Quran across many countries and the first president of Egyptian reciters union in 1984. Abdulbasit Abdusamad went to many Arab countries to recite the Quran in Ramadan such as Saudi Arabia and Syria. He died on November the 30th, 1988.